That’s it. You will receive a welcome message shortly. Please continue reading for further details about the list. HSA member Jo Radner is our gracious list owner. That means that she will field any technical problems. 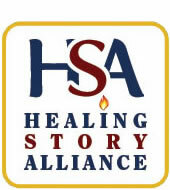 If you’re having any problems with the list, or can’t set your subscription in the way you want it, please e-mail Jo directly at jradner@american.edu, instead of sending a general message to the whole HealingStory community! LISTSERV@LISTSERV.AMERICAN.EDU, not to the regular list address. Digests are larger messages containing all the postings made by list subscribers over a period of 24 hours. LISTSERV digests are not edited; what you see is exactly what was posted to the list. The only difference is that you get all the messages for a given day, week or month in a single batch. There are three options for the “digest” setting: plain text, MIME, and HTML. Normally, when you sign up for the Digest option, you receive the plain text version. However, if you prefer a different format, or if you are getting a lot of html “garbage” characters in your digests, please let Jo Radner know and she will change your settings till the messages look right.